Latest price of Micromax Infinity N12 in India was fetched online from Flipkart, Amazon, Snapdeal, Shopclues and Tata Cliq. 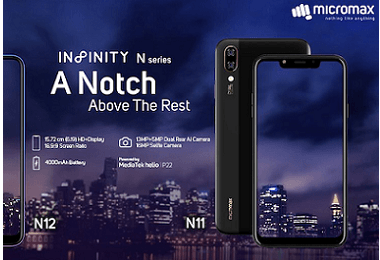 "Micromax Infinity N12 and Infinity N11 Launched in India at Rs. 9,999 and Rs. 8,999 Respectively"